Do you have a particular audience in mind when you’re writing your blog? 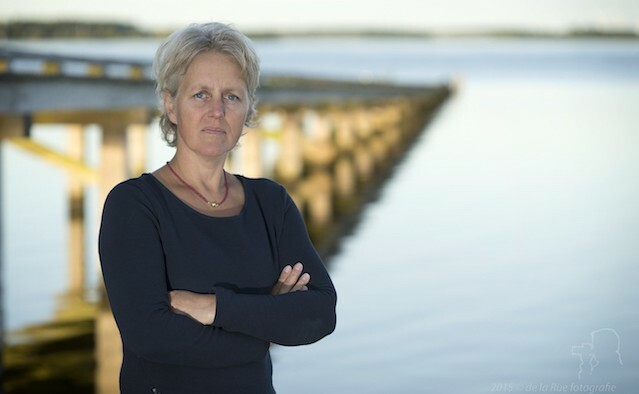 I write because I write – the only people I have in mind when writing are a few close friends, my husband and our children. They are, so to speak, my conscience. Well, in its original sense the word ‘passion’ means suffering. So I am passionate about all aspects of the condition because, at the end of the day, there is not an aspect that doesn’t involve some suffering. I’m particularly passionate about changing the mindset of people with Parkinson’s: I want to help make them aware of their strengths. It’s read by a worldwide audience. I’d say approximately 50% of my readership is from the Netherlands, with around 40% from the UK and the US combined – the rest come from a variety of countries all over. I have been a guest blogger for the Michael J Fox Foundation, the Parkinson’s Foundation and Parkinson’s UK. To be honest it has always been something that I have aimed for. I am an ambitious blogger and I have always aimed high. Contributing to high level publications is another thing I’ve worked hard for. It’s like training for a gold medal – surprise doesn’t really enter the equation. Although gratefulness does. I am both grateful for my talent, and even more so for my readers. Which of your posts have attracted the most interest from your readers? I find that if I want to write a blog, then I find the time to do so. I write most of my blogs in 20 to 40 minutes. Describe yourself in one sentence: Enjoying life, whilst dealing with Parkinson’s from the comfort of my own chaos. Luckily I do not face any physical challenges in writing. If a blog is ready to be ‘born’, I am just as happy typing it with one finger on my phone as I am typing it on my laptop. A smile, courage and a new thought. I first got involved via the Parkinson’s Foundation, whose director put me in touch with the team at the World Parkinson Congress. 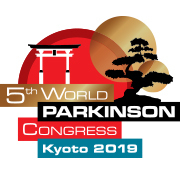 What are you most looking forward to at the World Parkinson Congress 2019? It’s an exciting opportunity for me to network with researchers and Parkinson’s professionals as well as have a great time with others in a similar position to myself. I’ve built quite a circle of friends of people with Parkinson’s via social media and I can’t wait to meet them. I also spent time in Japan when studying modern Japanese studies at university – so I am really looking forward to going back.